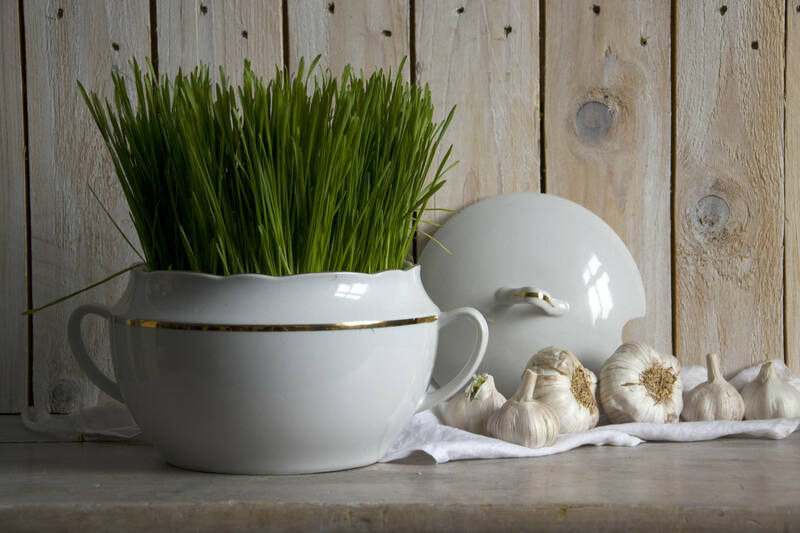 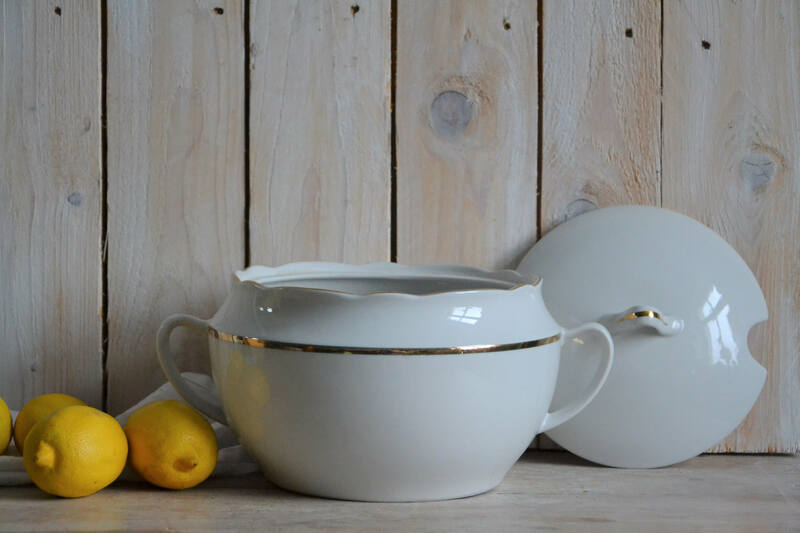 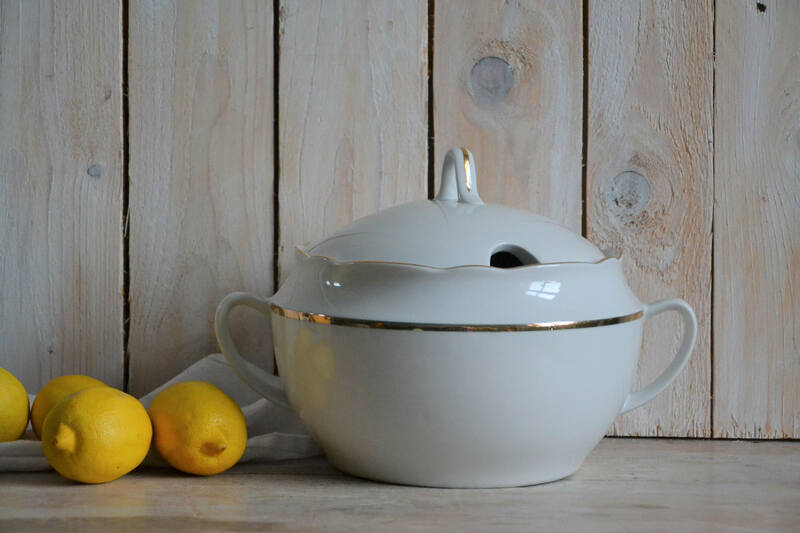 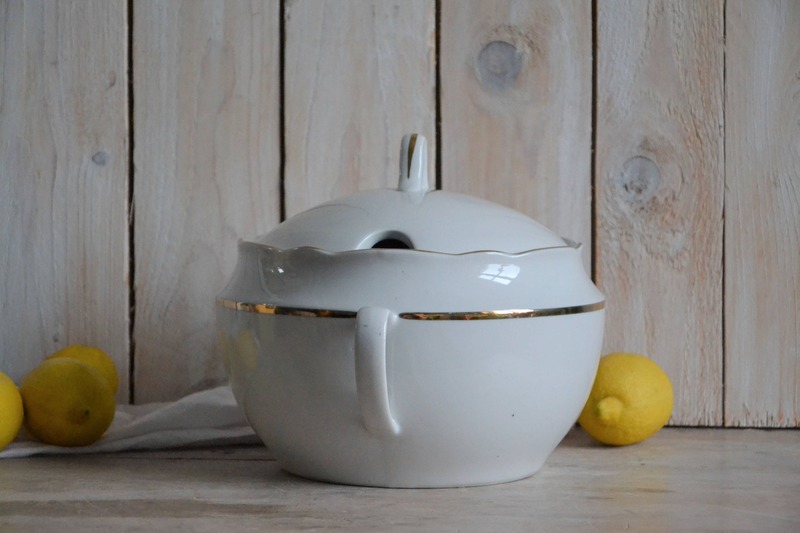 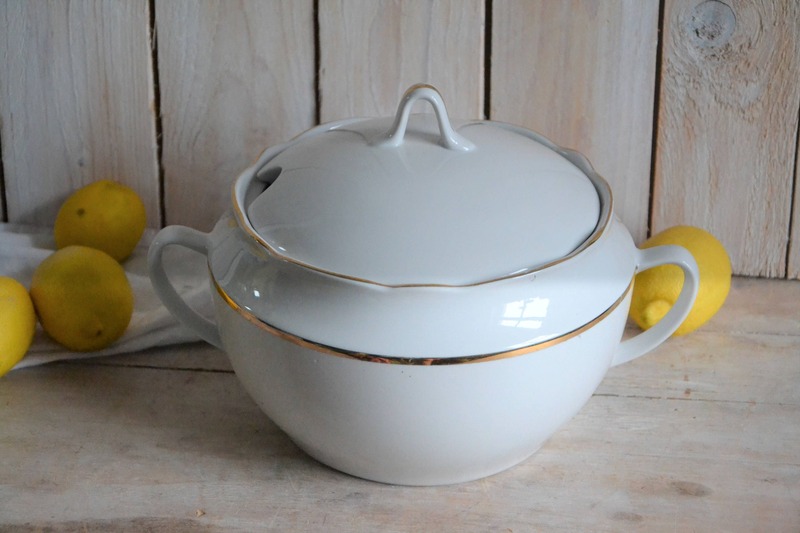 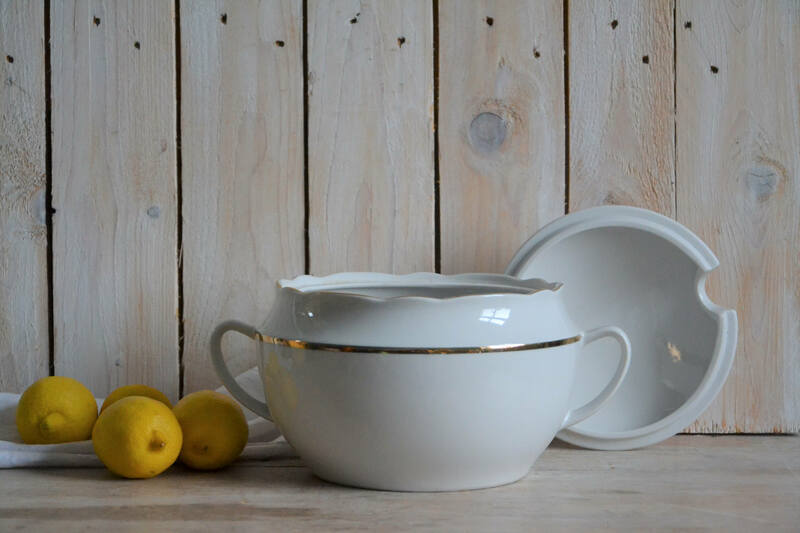 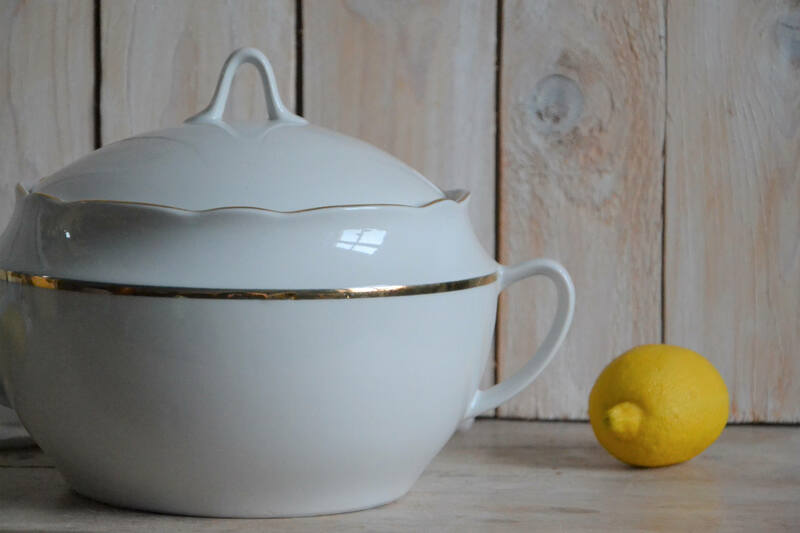 Large white lidded tureen. 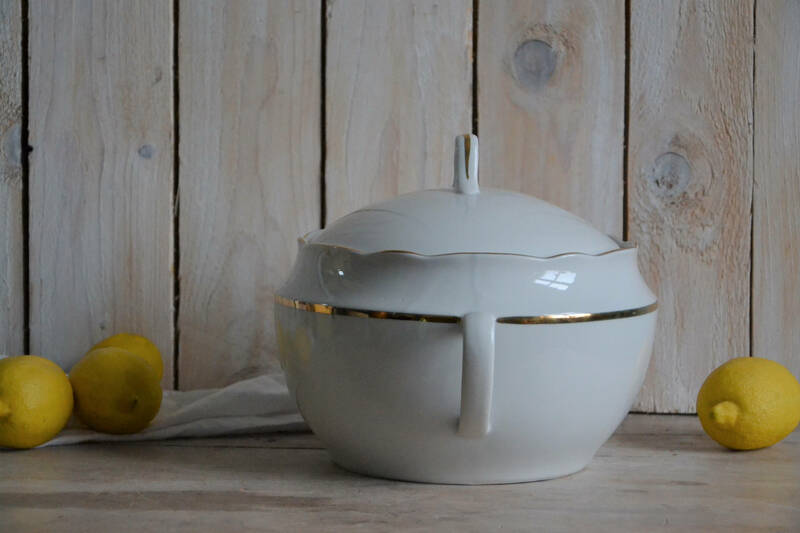 The lid has an opening for a ladle to be rested in the bowl with the lid still on. 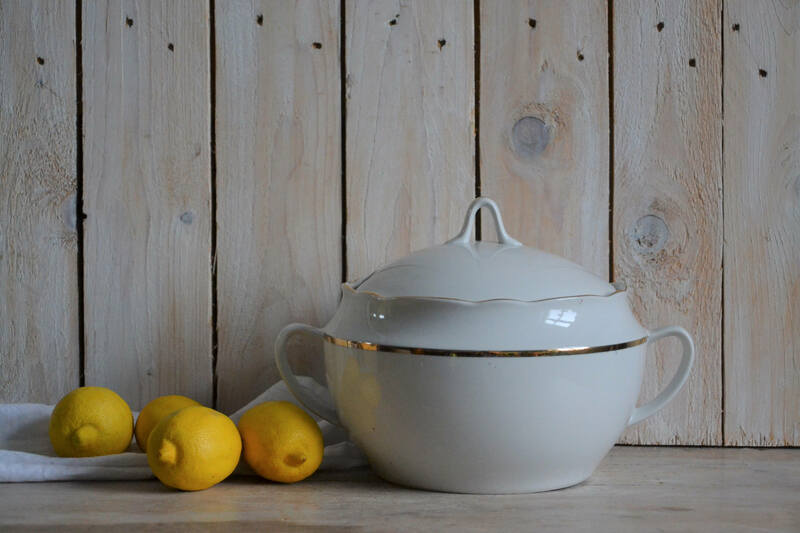 The tureen is in very good condition for its age, no chips, cracks, repairs or stains. 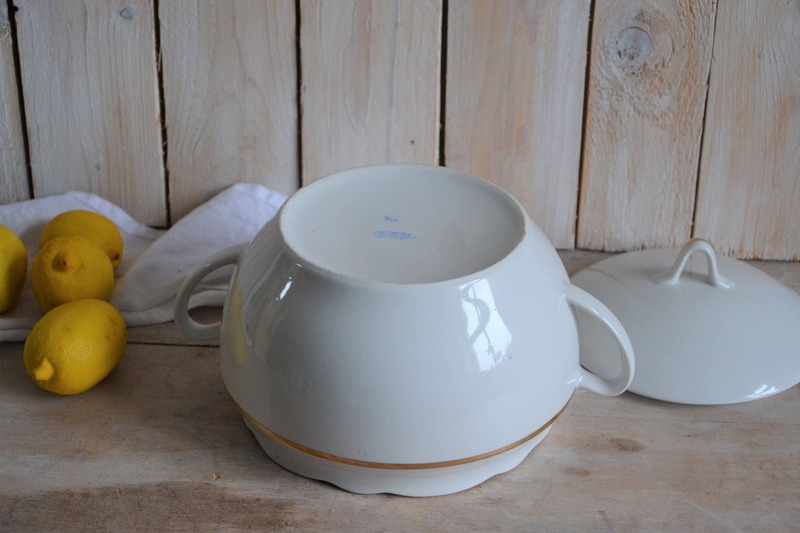 upper diameter 20 cm / 7,9" without handles.